This picture doesn't do justice to the block I received in September from Lynn Howell. 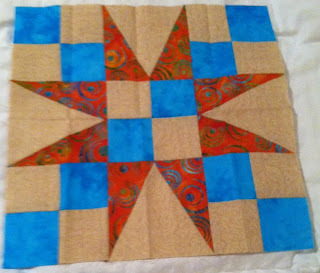 The turquoise really pops but the orange triangles are just beautiful and the workmanship is perfect! Thanks Lynn!